No, this is not our dining room - the colors are all wrong. And it has a few more columns, and the ceilings are about 40 feet taller, and of course the chandelier is about ten times bigger, and it seats a few hundred more people on three levels. 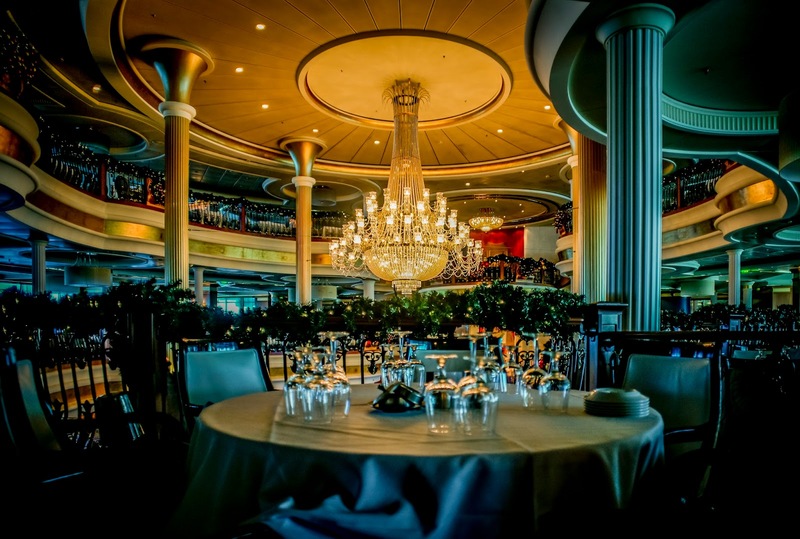 It is the main dining room on the Royal Caribbean cruise ship Navigator Of The Seas, which has water glasses just like ours. So we have that going for us.